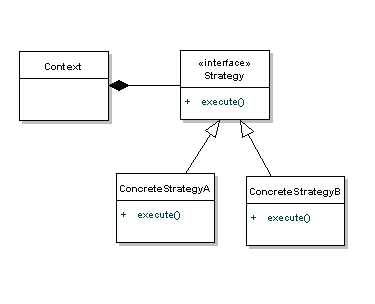 Strategy design pattern is one of the behavioral design pattern. Strategy pattern is used when we have multiple algorithm for a specific task and client decides the actual implementation to be used at runtime. Strategy pattern is also known as Policy Pattern. method that takes Comparator parameter. Based on the different implementations of Comparator interfaces, the Objects are getting sorted in different ways.